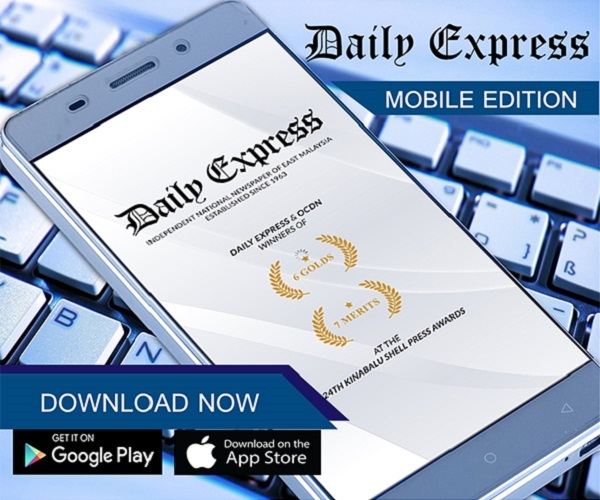 Exemplary tourism partnership | Daily Express Online, Sabah, Malaysia. Over the last few months, I have written a number of times on the importance of our political leaders having quality economic leadership. However, it must be said that there is only so much a good economic leader can do if the private sector is not proactive and responsive sufficiently. In any successful economy, the private sector must play its part to drive the economy. The government can set policies and facilitate the growth of business. All these will come to naught if the private sector has a negative attitude. [d] investment [foreign and domestic] in tourism facilities especially hotels, resorts, tourism complex [TAED] and very importantly, the soon to be completed SICC for MICE tourism. Credit should be given to the private sector for positively responding to Musa’s initiatives. This partnership thus far has brought tremendous benefits for many Sabahans in jobs, business opportunities, historical high in tourism receipt and above all, better standards of living. This productive and profitable partnership between Sabah Government and private sector can be the blueprint for other states that want to promote tourism as a serious industry. Here are the reasons. The tourism was at its infancy in 2003 when Musa ascended to the office of CM. Since then, tourism receipts have ballooned to RM5.72 billion which is more than our annual State budget. No many states in Malaysia can boast of its tourism receipt larger than its budget! Likewise, the rapid growth of tourism arrivals has been equally impressive since 2003. Tourist arrivals in 2017 was at 3.7 million which is almost the population of Sabah. Kota Kinabalu with about 700,000 population is receiving almost five times of this number. These two factors are remarkable for almost 100pc of tourism and arrivals have come by air. Unlike West Malaysia which has land access from Thailand in the north and Singapore in the south. Singapore alone gives more than nine million visitors [multiple visits] through the Johor causeway. Sarawak is very much behind Sabah. KK is enjoying a boom because of tourism. So is Semporna, thanks to the initiative by Musa. No one would imagine 10 years ago that Semporna can enjoy a tourism boom the like of which, the residents of this town have never seen before. In the past, some divers would go to Semporna, enroute to Sipadan and other dive spots. Nowadays, Semporna has become a tourism destination in its own right. The hotels are full, there is a rash to build more. This success story is just unbelievable for this erstwhile sleepy town. Here are some dividends of this Government/Private Sector partnership. [a] Having been involved in pushing for tourism in its early days, I cannot but truly amazed that about 100 flights are now flying in from China when there was none then. KKIA was like a little ghost town but is now bursting to the seams! [b] Even Bak Kuet Teh shops are packed with long queues each day and price of durians have skyrocketed. [c] For the first time in history, our durian farmers can feel cash piles in their pockets! [d] Most pleasing to note is that a number of Y generation Sabahans have returned from overseas and started their own business. Four graduates of ATI college have started “Damn Good Burgers” in Jalan Australia Place. Go and try their burgers! [e] One recent visitor from Kuching said the vibrancy in KK is unbelievable. Kuching is quiet by 10pm. KK is still rocking at 12pm. [f] The dream that I used to have is coming true, the arrivals of more high-end tourists. The two Shangri-las are packed. Datuk Robert Tan has also confirmed that his Bunga Raya which is a six star resort owned by Sabahans at Gaya Island is bustling like never before. Sabah, as a tourism destination, is maturing very nicely. All these nice things can happen because the partnership between the Sabah Government and private sector has been established on very firm ground. This quality partnership can only bring more “fortunes” for our State. However, let’s not rest on our laurel. Let’s not be lulled by our success thus far. In comparison with other major successful destinations, our journey has just begun. Please allow me to highlight a few concerns that should receive our urgent attention. KKIA’s level of service is critical because it is the first and last point for tourists to gain a positive impression on Sabah. I am afraid KKIA has fallen short of this. At peak hours, KKIA is packed full to the ceiling. At other hours, it is still very busy. Figures on capacity vary but all point to the fact that it is near capacity. Its saturation will happen in the next few years if current trend of tourist arrivals continues. A big bottle neck will be staring into our face. Musa is paying attention to this critical point. The Federal Government must pay top priority. This problem is made more critical by the impending MICE arrivals in the next few years after SICC has opened up for business. KKIA is already feeling the effects of near saturation point. Many parts of its service are showing strains. Some examples are the queues at the security check ins where makeshift tables are placed in unprofessional manners, toilets are under par in cleanliness and facilities, insufficient chairs for passengers waiting inside the terminal, stalls are styled and positioned like “pasar malam”. With more and more Chinese tourists coming, KKIA should install hot water facility for Chinese tourists to brew their own Chinese tea. 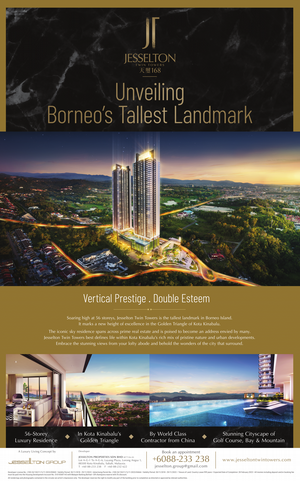 This is attention to details to the needs of Sabah’s largest customers. The Chinese are particular about their tea. The reliability and speed of KKIA’s wifi leaves much to be desired. I have yet to have a successful access. Internet connection is an absolute necessity. The whole process from A to Z on departure and arrival needs to be looked into with the aim of making it more user friendly and efficient. The private sector players need to focus on these two areas. A lot of hard work has been put in by Musa and the private sector. Let’s not kill the goose that lays the golden egg. This can happen under two circumstances. Over pricing and deteriorating service level for our guests. There are others but these two are the most important. The deterioration of services is already here in many places. Dishes are being thrown around at tables. Service personnel are becoming less polite. We need to look into the supply side of tourism very urgently and seriously in order to keep our competitiveness in hotel accommodation and sea food which is our main attraction. How to look after another million or more visitors? The current arrival is at 3.5 million. Musa has got a promise from China for another million. Korea arrivals will increase in tandem. So will it be from other markets as Sabah becomes more known. Let’s target on how to look after seven million [double 2017 arrivals] tourists in the next 10 years. How to look after them with good services and competitive pricing? For example, how to have enough sea food? The biggest challenge is how to look after MICE tourists which will compose the higher end. I admit I don’t have the answers. The solution is for a group comprising senior government officials and private sector players to undertake a thorough review and formulate a strategy. We should treat these issues as pleasant challenges, not problems or headaches to be avoided. Issues like how many more rooms, what grade of rooms, sources of investment, what short of activities for them, which market to focus? etc etc. How to get more economic benefits from tourism? It is ok we say with some pride that Sabah is one of the best, if not the best, states in tourism. The records speak for itself in tourist arrivals and receipts. However, we should also look whether we are deriving the maximum benefits from the tourism receipt of RM7.5 billion for Sabahans. Leakages like foreign tour guides, imported souvenirs, imported food stuff should be plugged as much as possible. With the tourism industry maturing, many Sabahans’ related business is expanding. A few Sabahans have deemed fit to sell their business to foreigners, especially to Chinese nationals. Though not wishing to dictate to these Sabahans, it was a pity that they are selling their business to foreigners. This trend has already started with Bak Kuet Teh shops which have been doing roaring business, shops along Gaya and Beach streets. Sabahans should have more persistence and not to seek quick profits. Without Sabahan investors taking an active part in tourism is like a body without its soul. Hopefully, the next stage of our tourism development will see more Sabahans investors/owners of hotels which are the most critical component in tourism. So far as I know, of all the high-end hotels, only Datuk Robert Tan [a Sabahan] has investment in high end Bunga Raya and Le Meridian. I wish for many more Sabahans investors to go into five stars and above and also boutique hotels, especially on beach or water fronts. This is an area that has great potential in view of many more tourists that will come in coming years. For sure, the most exciting new market segment is MICE for SICC is almost ready and MICE represents the higher end of tourism. Another market segment which has huge potential is the retirees from China, Japan and South Korea. Many of them who are from the baby boom era after 2nd World War, are well to do with properties and very decent retirement savings. For example, Shanghai has 4.85 million retirees. Nationally, China has a mind boggling 200 million retirees. A Chinese friend who has pioneered services for retirees in Shanghai has told me that his company is affiliated to a national organisation with 82 million members. He has visited Sabah a few times and thinks we have the potential to receive one million retirees if and when we have the facilities for them. Congratulations to the Sabah government and private sector for having succeeded in nurturing the tourism industry to its present stage. Looking forward into the greater tourism potentials, I hope this prevailing economically rewarding partnership can be deepened and expanded further to cover more market segments and more focus on higher end tourists. Several countries/destinations like Hawaii, Maldives, Bali derive up to 90pc of their GDP from tourism. Sabah has plenty of potential to hike its tourism receipt to over RM10 billion within the next few years. RM20 billion is a distinct possibility by 2030 with enhanced partnership between the Sabah government and private sector. That is why Sabah must continue to have proven effective economic leadership/sound government and private sector partnership after GE14 to usher us into the golden era of tourism.